Who says growing has to be painful? Certainly not us. The Beautiful Lives Project has experienced tremendous growth during the month of March and we can't wait to share our stories with you. Today I felt like making a Vlog with my sister - I hope you all enjoy! In January of 2011, I helped commentate a basketball game at the University of Southern Indiana. I was a freshman attending college at the University of Evansville. I was able to commentate the game at USI with Dan Egierski. The game was a men’s basketball game against the University of Indianapolis. I studied facts on both the University of Southern Indiana and the University of Indianapolis before the game. I spoke with both coaches before the game as well. As I was commentating with Dan, I often cut him off during the game. This was something that I learned throughout the game that I should not talk when Dan was giving the play-by-play. The game was close at the end, Southern Indiana lost the game that day, and I spoke over Dan during a critical timeout at the end of the game. Also, at USI, they did not have microphones on the basket so I could not hear the basketball hitting the rim or going through the net. This made it harder for me to analyze the game, as after shooting many free throws, I can tell if a ball is going to go in the basket or not. It would have been more useful to be able to have this, and later during my time commentating games at the University of Evansville, I was able to have microphones on the basket. Commentating this first basketball game with Dan was essential to me. I had grown up listening to Brian Barnhart commentating for the University of Illinois, and Don Fisher commentating for the Indiana Hoosiers. These two broadcasters brought sports to life for me and really helped me be able to understand the game of basketball since I cannot see it. Commentating the game with Dan was the realization of a dream for me. 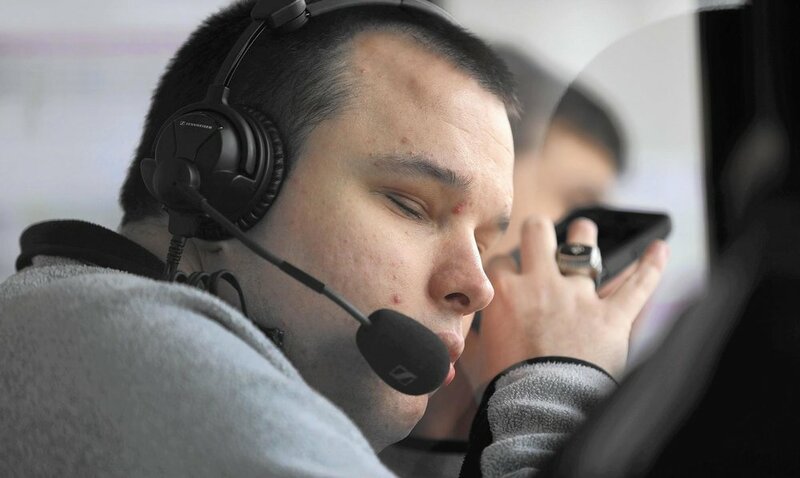 It was something that I had wanted to do for many years, and Dan helped me out a lot with the first game I commentated with him at Southern Indiana. Also, my friend Tom Benson taught me how to interview coaches during my time at the University of Evansville. This was something that helped me when I got on the radio with Dan, as I was able to handle the pressure of everyone hearing my voice. When I was first working with Tom about doing interviews with coaches, I had trouble with stuttering. This was something that had troubled me for about ten years or so, and something I did not think I would be able to shake. Tom was able to help me with this and to encourage me not to let things stand in my way such as having a stutter. 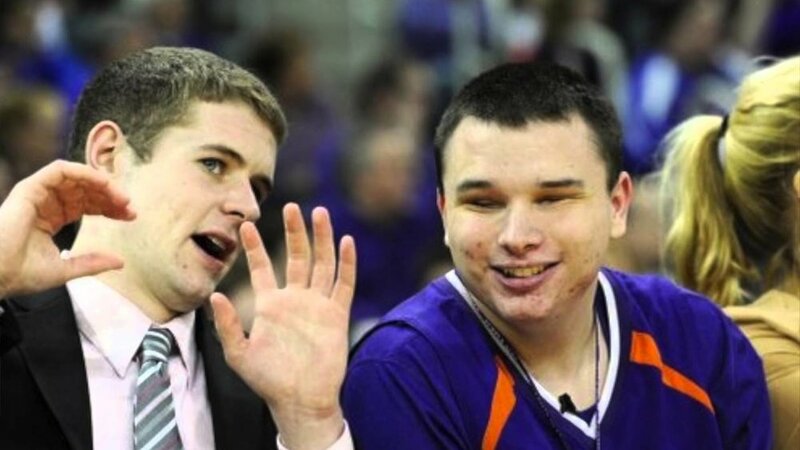 He boosted my courage by helping me interview various coaches at the University of Evansville. After commentating this game with Dan at Southern Indiana, I have commentated over 120 sporting events across the country in various sports. I have commentated part of a Boston Celtics game on the radio, and many other sports as well. This first game will always stand out to me, yes, the performance could have been better, but I was able to live a dream of something I had wanted to do for a long time, commentating a basketball game on the radio. Also getting past my stutter as well, was something I had struggled with throughout my life, so to be able to get past this was important to me. This showed me that I can get past any challenge I face in my life no matter how hard it is. Also, having both Tom and Dan believing I could commentate games on the radio helped as well since I was first starting out. When I had broadcasters doubt I could commentate later in my career of commentating, I would think back to the challenges I had overcome so far, and tell myself I can do anything I put my mind to. The same is true for everyone if a person sets his or her intention to accomplish a dream, anything is possible.